It is not unusual for some of our clients to be presented with the following scenario. An owner of a single family house or apartment falls behind on his mortgage and his lender commences a foreclosure proceeding while a sale is pending. In an apartment scenario, the cooperative board pursues a maintenance default matter while a cooperative unit owner is actively attempting to sell the unit. These are not situations where a short sale is sought. Rather, significant equity exists. The anticipated sales proceeds will allow for the full payment of the balance of the mortgage loan or maintenance arrears due to the cooperative. Another common component of these situations is that the lender or cooperative board is aggressively pursuing their claim, jeopardizing the owner’s ownership of the asset. For instance, if the lender forecloses on the mortgage, the homeowner will lose title to the property and have nothing to sell. If the cooperative default goes to its final conclusion, an auction of the unit (and eviction of the occupant) , the unit owner will likewise lose her ownership interest. These results should be avoided when the closing proceeds are more than sufficient to pay any outstanding amounts due. The goal of the attorney representing the homeowner is to encourage the lender or the cooperative board to delay its proceeding pending the sale of the property , at which time the lender or the cooperative will be paid in full for the monies owed. When a homeowner falls behind in payments due, he may claim to a creditor that he is trying to sell the home in an effort to stall proceedings. While it may be true that the homeowner is trying to sell the home, the following suggestions may make such a claim more credible to the creditor and convince them to delay the proceedings. First, it is helpful to have a skilled attorney present this information to the creditor. Second, for sale by owner scenerios should not be used. Having a licensed real estate agent involved who has an active listing that can be shown to the creditor is convincing evidence that the home is actively for sale. Third, if there is a signed contract of sale with downpayment monies on deposit and also a loan commitment letter from the purchaser to deliver to the lender or cooperative’s attorney, such documents will show that the means to pay the past due balance will be imminently available. 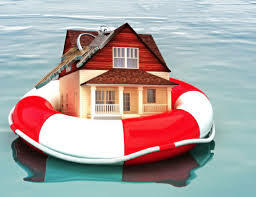 A new loan may be sought by the homeowner as another means to resolve the default. If these strategies are not effective, our attorneys may file an Order to Show Cause with the applicable Court, seeking a temporary restraining order curtailing the creditor’s right to pursue the activity until the sale occurs. The coordination of efforts is crucial in this situation. Our firm handles mortgage foreclosure defense, as well as cooperative matters and real estate transactions. That way, attorneys specializing in various aspects of the matter work together to achieve the best result for their clients. Our mortgage foreclosure defense attorney may request an extension of the time to answer the complaint or a motion, so that it dovetails with an anticipated closing date. Negotiations will proceed to obtain an agreement as to the monies due to the creditor at closing as well as documents that need to be delivered. For instance, a stipulation formally discontinuing the lawsuit needs to be obtained for filing with the Court, so that all matters related to the case are removed from record at the closing. We look forward to assisting you should the situation arise.